Marion MacLeod received her PhD in Ethnomusicology in 2013 from Memorial University of Newfoundland and has presented works at the conferences of the Society for Ethnomusicology, International Council for Traditional Music, Canadian Society for the Study of Traditional Music, The International Association for the Study of Popular Music and the American Historical Association. Her performances can be found on numerous recordings, including two Smithsonian Folkways productions dedicated to Cape Breton Traditional Music. She maintains an active performance and teaching schedule. ​Kenneth MacLeod has worked for the past twenty years as a musician, bandleader, composer, arranger, session player, singer-songwriter, square dance fiddler, multi instrumentalist, teacher and promoter of original and traditional music. Since first taking up the fiddle in Cape Breton Island as a child, MacLeod has devoted countless hours to the performance, study and cultivation of traditional fiddle music. 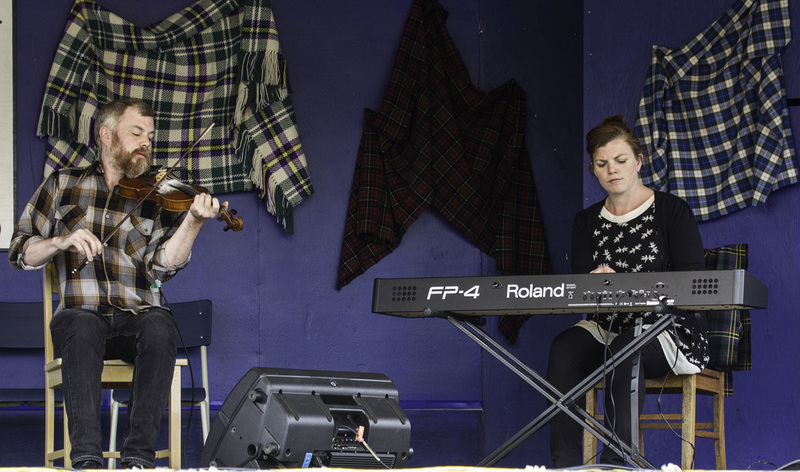 Both Kenneth and Marion, hailing from Dunvegan, are big supporters of the Broad Cove Concert, always willing to provide their talents on piano and violin, respectively, which you can see at this years event, July 31st.